Work is work. Some say that it’s pure luck if they find a job that they like while, others work out of pure necessity. There’s a saying many know—“fake it till you make it”—but is that really true? At times it may feel like a daily grind because there might be a set standard of how a person should act and behave in order to be successful. For example: if A equal success then the formula is A = X+Y+Z, where X is work, Y is play and Z is keep your mouth shut. Suppose a person does use this formula. There are multiple hypotheticals that could play out however; there is only one chance to get away with being astute. For instance, a funny thing about the stock market is that every time a person buys another sells and they both think that they are astute. In reality, there are two different sides and scenarios panning out. But, other people can choose to make some “fun” out of the grind. Another example is when a person changed their passwords to “incorrect” so every time they would forget it would tell them “your password is incorrect”. The people who do like their jobs are a lot smaller in size, so they aren’t necessarily obsoleting the general standards of a work environment. People have to wonder what they’re doing differently. It’s a proven statistic that most Americans are unemployed or in between jobs five times in their life according to the Bureau of Labor Statistics. If a person introspects their life a little more, would that number—five—still be that high? There may be some legitimate reason like, family or furthering your education, but all in all there is an issue that needs to be acknowledged. In retrospect, there is a secret to existence. That is we are all a little mad. Expectation in relation to reality can be a boat load when a thing such as, life get in the way. Excuses aside, there is nowhere to go until a decision is made, which leads to the starting point of change. No matter if you are the CEO or an entry-level employee, change can be implemented. The size of the change is up to the person, whether it’s trying something new or simply moving things around to reduce stress. A major key in success is the lifestyle a person lives. The lifestyle should be positive and healthy, so it becomes one less thing to be mad about. Procrastination is something we have all done at one point in time or at least know someone who has done it. The art of procrastination is simply the ability to withstand the urge to do anything productive…sounds like a skill. Welcome to a life where procrastination is an addiction and sleep deprivation is a lifestyle. Think I’m wrong? I’ll prove you wrong just wait and see. The first day back to work is usually the dreadful Mondays. To set the scene, your stress level is coming back by receiving your weekly agenda. You are back on your tight schedule with your slim-to-none free time and an empty coffee cup before the morning isn’t nearly as finished as you’d hope. Your boss and co-workers are breathing down your neck about things that need to be done. However, an idea pops in your head about how you think you have plenty of time to get things done at a later date and time. So maybe you take slightly longer breaks or zone out or simply go on social media. There are no limits to what you can accomplish when you are supposed to be doing something else. Sounds familiar, yes? Time management is a huge thing no matter which position you hold in a company. It also can be the difference of a company being number one or number two in relation to your competition. So putting the “pro” in procrastination is not always a good thing. Yes, there can be levels to procrastination such as planning or just preferring to work in a deadline-induced panic all of the time. But, when you follow a well-balanced schedule, stress levels decrease and it can help lower risk of diseases like, heart disease according to the Cleveland Clinic. Are those enough reasons to stop the so called “art” of procrastination? Well, not entirely no. Your brain has been conditioned to delay doing work—which if we’re being entirely honest—is like second nature at this point. Starting small is the best way to go. Setting goals or frankly writing down a list of things to do. In turn, it can allow you to sleep and eat better so you and your company can excel. Was it your attention to detail? Was it because you didn’t understand the supply and demand curve? Was it the customer service? Was it you? Was it me? The mind can wander so far out, but the truth is, you know you have reached insanity when you do the same thing over and over again and expect a different outcome, according to Einstein. But others have a more positive outlook about failure. “It’s fine to celebrate success but it is more important to heed the lessons of failure” says Bill Gates. If you don’t want to listen to me listen to well known entrepreneurs who have been through both sides of the spectrum, success and failure. So, it is good to accept failure when it comes your way but never accept not trying. Learning to fail is one of the most important thing you have to learn in this industry. While it may seem counterintuitive to your goals, in the long run you’ll appreciate which types of decisions will lead you a certain direction. But what about the 10 percent who have made it? A former national security advisor Colin Powell tells, “There are no secrets to success. It’s the result of preparation, hard work and learning from failure.” Yes, this may sound slightly repetitive from the above statements but it is only here to guide and assist your knowledge in case of an incident. Estēe Lauder, owner of a cosmetics company says, “Dreaming of success is different from working for it.” Attention to the smallest thing can alter the impact to your business in a flash. Pay close attention to your target market because a business is not what you say it is. It’s what they say it is. And if they don’t fit nor like you business, well frankly you’ll need to reevaluate your business and take action, before the business goes under. To quote Thomas Edison: “I haven’t failed. I’ve just found 10,000 ways that won’t work.” So, it’s good to still be bright-eyed and bushy-tailed entrepreneurs and employees. Keep on trying in the hopes the process of research as well as trial and error works. Also, note that it is perfectly fine to bet on yourself once in awhile because, when everyone thinks alike, no one thinks much at all. You are in the final interview stages with a potential candidate that has met every job requirement, and everyone in the office loves them. They have knocked all the hypothetical and character question way out of the park. You are getting close to offering them the job and can’t afford to lose out on this stud employee. However, they have been in contact with others in your industry and have multiple offers on the table. Why should they choose you? What sets you apart as an employer? Below are a few ways to make that final push and become that preferred employer that top candidates will pick over all the other offers they receive. This one is simple. PEOPLE WORK FOR MONEY. Don’t dance around the question when asked. 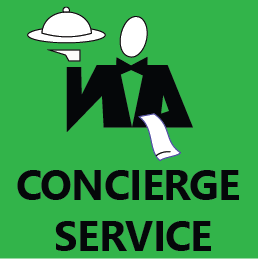 Take it head on and pay a reasonable amount for the seniority of the role and complexities of the job. Every dollar counts and there is no doubt about that, but skimping on rate of pay will cause that candidate to bail sooner than later- costing you more time and money in your recruiting efforts. Have a robust benefits package in place. While some employers pay more so that employees can seek out individual insurance, this sends a message. Don’t hope that they will use that money for things like health insurance. Put a plan in place to show that potential candidate that you are trying to do what is best for them. Make them feel taken care of long before coming onboard. In regards to retirement options, offering things such as a 401k tells that candidate that you are invested in them long term. You aren’t the churn and burn employer and care about their future- so much that you will pay money out of your pocket for their retirement. It’s no secret what role the candidate is there to fill. They applied to a certain job posting and while it is crucial to screen them for the duties of that job, speak on where you see them down the road. This tells him or her that you see growth potential and did not hire them to be stuck in a lower level position forever. Nobody, especially younger individuals newer to the workforce, wants to sign on with an uptight, work only, company. During the interview process it is extremely important to humanize the company and its employees. Talk about the opportunity to work remote, casual Fridays, catered lunches, happy hours, or company intramural teams. People like to have fun at work and are more productive when given the opportunity to do so. If you do not have benefits in place now, I suggest you start. Is your company somewhere that you would want to spend 40+ hours per week? While you don’t want to come off as talking down to anyone, there are many things in the office that you know that is taken for granted. Things such as how to use the copier, where the restrooms are, or how to go about restocking office supplies are very minuscule things that when left untold will take up thinking room in the mind of your employee. Be thorough in your office tour and explain any company processes- no matter how small they may be. This is their new home. Make them feel as such. Without being overly formal about it, pair your new hire up with one of the vets in the office. It is ideal to have them hanging around someone that is currently in or has been in a similar role, but anyone in the office can help to show them the ropes to some degree. Mentoring is a great way to get individuals up to speed, and hooking them up with someone of similar status level will make them more comfortable to ask the questions they may feel timid asking you or others at the management level. Having friends makes everyone more relaxed and really allows them to shine and not feel as if they are walking on egg shells in that new organizational setting. It is east to get carried away when training a new hire and start speeding through the process. Remember: you have done this a million times; they haven’t! Training videos, modules, and hands on exercises prove much more beneficial in education. Talking at your employee and expecting them to retain and master everything is unrealistic and counterproductive. Walk them through new processes they will be expected to carry out and even have them teach it back to you. When breaking into a new role, most people usually act more reserved than they really are. They want to make a good impression and do not want to make mistakes- especially early on. While team-building and ice breakers in the office are great, it is extremely productive in socialization to get out of the office and spend time. Happy hours and lunches outside the office are a great way to really get someone in their comfort zone and can promote friendship. Lose the tie and kick back with a few drinks and let your employee know that you aren’t always the business-first manager/ owner that you portray in the office. In recent years, we have seen businesses move from an individualized approach to team oriented collaboration. The cubicle walls have been cut in half, and more and more organizations are creating teams- and I am not just talking about the sales department. This new structure has proven extremely beneficial to some and nerve racking and intimidating to others. The stigma surrounding the comparison of extroverted individuals and introverted tends to lean towards the more outgoing, personable employee. This is a very limited way of thinking. While you may not throw your shy and to-themselves employee into a presentation in front of many people, they do provide valuable traits to your business- they just need the right atmosphere that supports their way of doing things. Introverts are defined as, “a shy, reticent person” while extroverts are described as, “outgoing and overtly expressive.” One has been known to talk through their thought process while the other seems more analytical in that they process then speak. IT IS CRUCIAL TO KNOW WHO IS WHO. While just about all of us encompass traits of both ends of the spectrum, we can probably all agree that we identify with one of the definitions. We need not rely solely on assumptions to tell us where each of our employees fall. There are countless personality tests are available for managers to utilize with the most common being the Myers- Briggs Type Indicator. The test provides 16 type descriptions based of each individual’s answers and allows managers to understand the needs and preferences of each individual they oversee. Following the MBTI results, it would seem silly and counterproductive to treat all employees the same when it comes to how they work best. 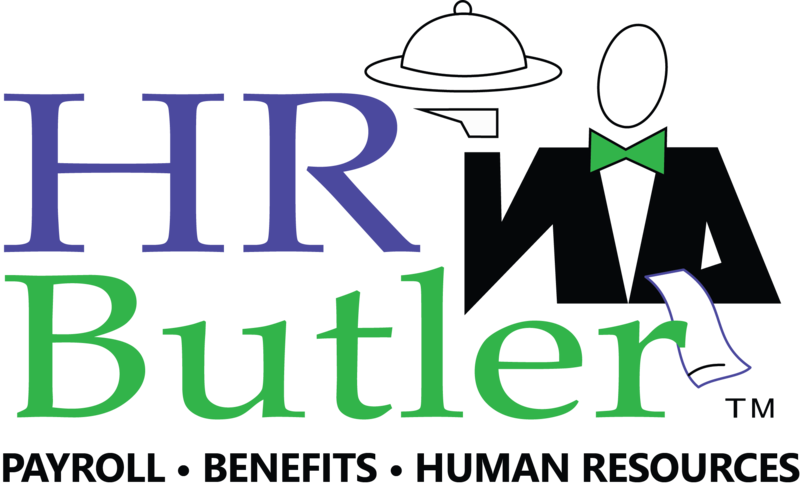 Provide options for your employees! This doesn’t have to mean undoing the collaboration style work areas but simply leaving more quiet areas for the introverts to choose to work- rather than throwing them into the heart of the office chaos. It is also a good idea to send out meeting agendas ahead of time. While your extroverted employees will blurt out comments and questions in meetings, the introverted staff may not act so quickly. Giving them time to digest the info and form questions will prove beneficial. There is no true clear- cut prescription on how to balance office differences. There are, however, ways to promote individual skills without putting people on the spot or assuming that everyone in the office has the same needs. Finally, you need to constantly be taking a step back and reviewing how the changes are working. In the recent age, it seems that we need to focus more on caring for the introverts, but we should not care for them so much that we limit the extroverts. It is crucial to know who falls under what character description and put plans in place to maximize as many people’s individual strengths as possible. How do you retain top employees? Every manager dreads the day when their top performer walks into the office, sits down, closes the door behind them and says they need to talk. They inform you that they are departing in two weeks and that their mind is made up. No company wants to, or can afford to, lose key members of their workforce. Whether it is the top sales rep or that secretary that keeps the office above water, employee departure hurts any company. A high rate of turnover can result in loss of team camaraderie, time, and ultimately- profit. When an employee leaves, especially a crucial team member, it throws off the rest of the unit. While it does present the opportunity for someone else to step up, losing the captain will throw a wrench into any cohesive group. On top of that, introducing a new member to the team will be a setback in that they will have to become socialized and up to speed. Time. Take a step back and consider where the top employee on your team was in regards to skill and education when they walked in the door for their first day. They likely knew very surface-level information on the company, industry, products, and competitors. Who is responsible for all that they knew and were able to take on just before their departure? The answer is likely you. You taught them everything they know or implemented a training system to do so and oversaw them along the way. Following their exit, you now need to start from square one with the replacement. Rather than fine-tuning skills and taking on bigger and more complex projects, your new employee will need to learn EVERYTHING and begin with simple tasks with a great deal of hand holding. 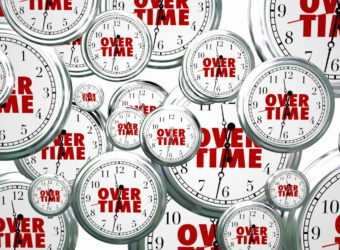 This down time directly affects the bottom line. You now need to dedicate more time to the new employee who is not functioning the way your old star was. A majority of managers and business owners have most likely felt the loss of having your best walk away. It is no surprise that people change jobs. It has happened and will continue to happen. However, there are very easy steps to becoming a preferred employer and developing a workforce that is happy and content in their current role. Protect your effort, time, and money by providing physical and emotional compensation. Assign new, exciting opportunities and be the boss you would want. Make the small changes now to prevent future setbacks! 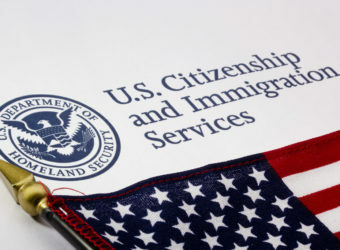 On Nov. 14, USCIS released a revised version of Form I-9, Employment Eligibility Verification. Employers may continue using Form I-9 with a revision date of 03/08/2013 N. through Jan. 21, 2017. By Jan. 22, 2017, employers must use the revised form. Employers should continue to follow existing storage and retentions rules for all of their previously completed Forms I-9. To access the new form, please visit the client area of our site. Thank you. Fill in the form below to view and download the guide. Mistake #1—Paying for employees’ individual health insurance premiums. Mistake #2—Assuming all employers are required to offer health insurance. Mistake #3—Not considering common ownership when determining applicable large employer status.